Here are a few of the different types of hearing aids on offer. RITE hearing systems are placed behind the ear and transmit acoustic energy through an ear wire connected to a loudspeaker placed in the ear canal, this theory of fitting can apply to a wide range of hearing losses. 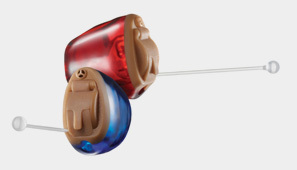 An in-the-canal hearing aid is custom molded and fits partly in the ear canal, but not as deeply as the completely-in-the-canal aid. 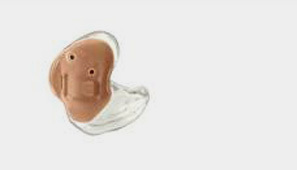 This hearing aid can improve mild to moderate hearing loss in adults. An in-the-canal hearing aid. Often easier to place and maintain due to increased size. 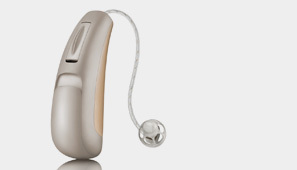 CROS/BiCROS Hearing Aids for single sided hearing loss. A Contralateral Routing of Signals – or CROS – hearing system is used for patients who have one normally hearing ear and one deaf or unaidable ear. The unaidable ear has a microphone transmitting to a receiver in the normal ear, which therefore picks up sound from both sides of the patient. 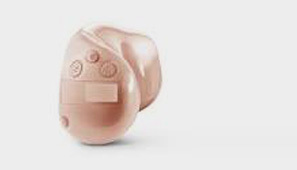 These hearing systems can take the form of several common hearing aid shapes such as behind the ear (BTE), receiver in canal (Ric) and various sizes of “in the ear” hearing aids. 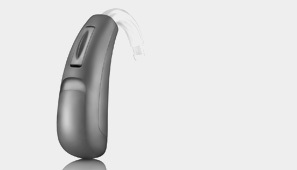 They are typically linked via a wire around the back of the patient’s head or, more conveniently, by utilising the wireless communication available from several hearing aid manufacturers. Best known amongst these are the Phonak CROS system and the Unitron Tandem. Many patients will cope with single sided deafness but seek help later on in life when the normal ear starts to show mild to moderate age related hearing loss. The effect of this deterioration can feel even more marked due to the patient’s long term reliance on their better ear. In these cases, where the patient has one deaf or unaidable ear and one ear that presents an aidable hearing loss, a BiCROS digital hearing aid system may be suggested. This still has the satellite microphone in the deaf/unaidable ear transmitting to the better ear, but the better ear also has a microphone to give appropriate help on this side. The BiCROS system aims to bring awareness of sounds from the unaidable ear and combined with effective amplification on the better ear provides clearer overall audibility to the patient. Many patients report a better balanced hearing experience, and some localisation of direction of sounds.